In our divided world, where every small opinion is met with disproportionate name-calling and hand-wringing, we hope we don’t bother you too much if we interrupt that. Instead, we are here to call a truce, lay down our arms, and work together in what we may refer to years from now as the kumbaya moment for oil and the environmental movement. And we owe it all to the ag industry for this special moment of harmonic understanding. We don’t have a guitar or flowers for our hair. Instead we offer some facts. Last year the oil industry tossed away 882 billion gallons of water. Yep, threw it away, right down the drain. You see, this by-product water contains chemicals and comes out of the well along with the oil – about 3 gallons of water for every 1 gallon of oil. So, nobody wants to put that water on crops or have cows drink it. So, injecting it into the ground or letting it evaporate in huge man-made ponds has been the best choice for the oil industry. Previously, the oil companies haven’t really had many options that were also economically viable. Enter the new player – the ag community. Agricultural company Encore Green, LLC and the Beneficial-Use Water Alliance, have brought together technology, proprietary methodology, and an economic framework that will allow the oil companies to take a majority of that 882 billion gallons of by-product water, clean it to the specifications needed to match the local soil’s DNA, and then use it for irrigation, watering herds, soil management, and other conservation strategies. The result is this wasted by-product water becomes beneficial-use water. And Encore Green is already doing it! If you’re not in the oil industry why should you care? Well, you get thirsty, right? If the majority of the water needs for the agriculture industry is then essentially being met by the oil industry (how’s that for kumbaya? ), then ag is not draining the aquifer. And that means billions more gallons of water for homes and businesses. And how much more does the oil industry have to pay for this? Not a cent more than the total cost of what they are currently paying to inject the by-product water or evaporate it. We are using their economic model. 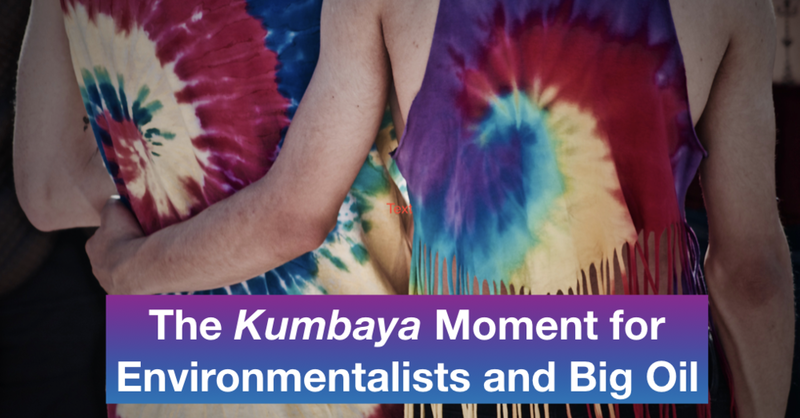 We told you it was kumbaya! And in this economic model, there’s many benefits: there’s untapped revenue for the states to fund programs like education without tax hikes, the landowner receives the water for ag, and we all know the aquifer isn’t in danger of going dry. The oil industry has to decide they’d like to sing along with the rest of us in the chorus of kumbaya. We do hope that they will. Newer PostSO . . . WHAT’S THE EXCUSE NOW?